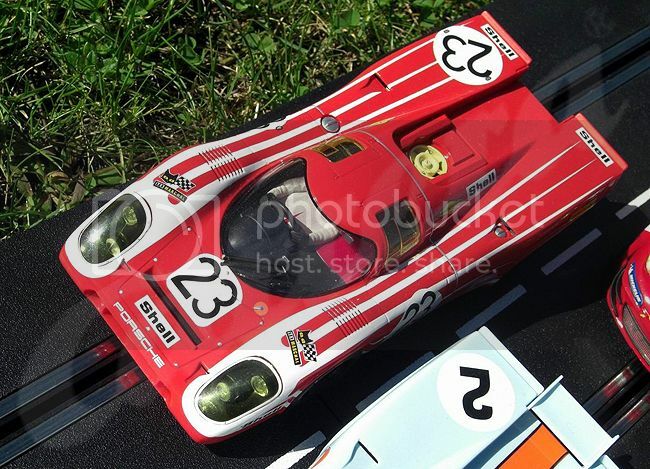 Photos of the prototypes of the new Carrera D124 Porsche 917s and a photo of the new Scuderia Porsche RSR. These are coming about the first week of December, i've just gotten confirmation of them leaving China. The photos are of the preproduction samples and there will be added tampo details not shown here and No.2 car does not have the center wing shown. 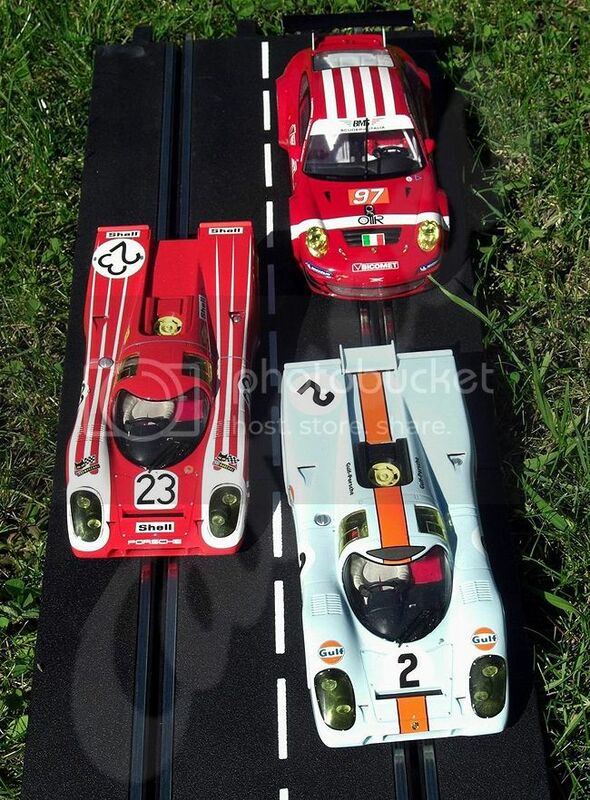 It may be added for later editions of the 917. Last edited by DaveKennedy; 10-18-2012, 09:11 AM. Oh my. Oh my. Oh my wallet. But these are nice. And at the price ??? And after extensive modification the one I have finished (you don't wanna know) Runs like a banchee, and looks pretty to boot. And has Lights !!! Dealers set their own price but I'd expect to see them for sale somewhere around $65-70.00. Wow, very nicely done. 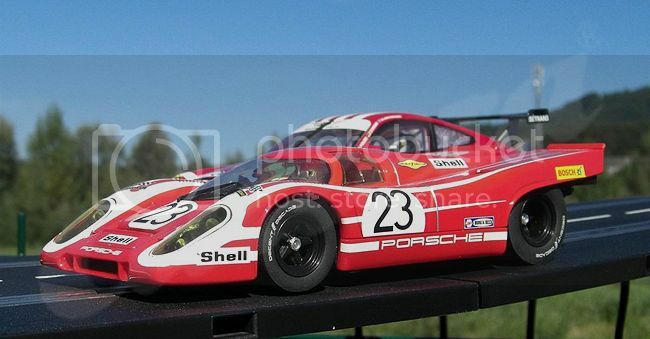 Always great stuff from Carrera in 1:24. Ouch...My wallet just bit me. 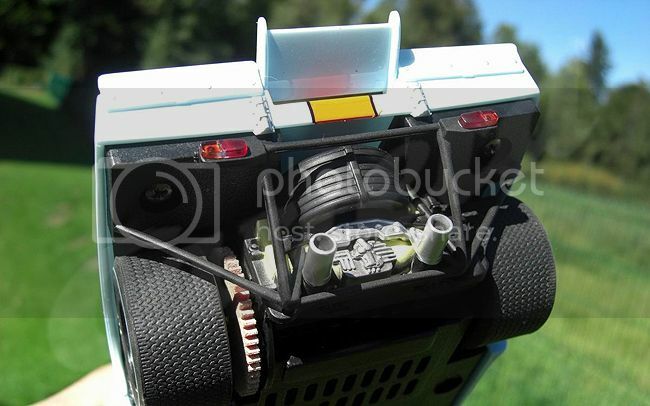 Do the 917's have brake/tail lights? Sorry, no brake- or rearlights possible on this car. Darn...I kinda had a feelin',since the 1/32nd lola had a similar light detail and didn't have rear lights either. Winning Gulf Porsche 917 at Daytona 1970 | Flickr - Photo Sharing! Official word from Carrera ? Still...leds can get pretty small... and I would think in this 1/24 app... It could be done. The Slot.it for 1/32 has leds that would probably work here. They "teased" us with the winglet on the pre-production model ... Who is gonna miss a NACA duct ? Last edited by ModelTrainGuy; 10-21-2012, 06:38 PM. I'm sorry but you're going to have to wait for announcements during Toyfair. I'm sure you're going to be very interested in what Carrera have coming though.